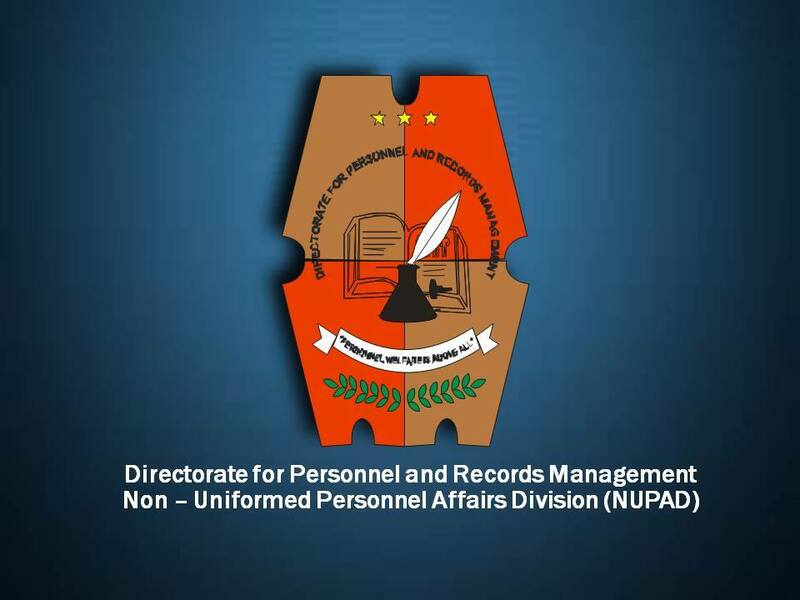 NUP stands for Non-Uniformed Personnel also known as Civilian Employee. In the Philippine National Police (PNP), the NUPs are employees who will take over clerical or any office-based duties currently being carried out by uniformed personnel with police skills and training. The news civilian recruits would be deployed as crime registrars and radio operators for police regional and provincial offices as well as in municipal and barangay police stations. With a Philippine population of 92 million, the 150,000-police force still lacks the manpower for the ideal police to population ratio, based on international standards, of one policeman for every 500 people. To further narrow the gap, the DILG said it will also ask the DBM to approve the hiring of an additional 7,561 NUPs this year. This second batch of NUPs will be assigned at the National Support Units of the PNP, such as the Highway Patrol Group, the Criminal Investigation and Detection Group, and the Maritime Group, the statement said. c. Admin PNCOs of municipal/city police station. 2nd - Complete all the documentary requirements if you are qualified to the vacant position you are applying for. the item you are applying for belongs. - Target date of submission of folders to Admin PNCOs: To be announced. - Applicants will be notified by Admin PNCOs of municipal/city police stations/Headquarters PPO thru their contact numbers. Medical Examinations and Drug Test, applicants shall be required to shoulder the necessary fee for the purpose. In the screening and Evaluation of applicants, strict adherence to PNP Memorandum Circular No. 2013-018 dated November 18, 2013, re Merit Selection and Promotion Plan (MSPP) for NUP must be observed. The Head of Office shall ensure that a notice of termination for unsatisfactory conduct or want of capacity is properly issued to the concerned probationer (NUP) before the expiration of the six (6) months probationary period, otherwise, the appointment automatically becomes permanent. 4. Has intentionally made a false statement of any material fact or has practiced or attempted to practice any deception or fraud in connection with his/her appointment. 10. Medical Examinations and Drug Test, applicants shall be required to shoulder the necessary fee for the purpose. 11. All applicants who shall fail in the drug test shall no longer be allowed to re-apply in any other NUP position. 13. No applicant (new) shall be allowed to take oath of office unless a certificate of complete character and background investigation (CBI) has been issued by the Regional Intelligence Division (RID) with further clearance from the Director for Intelligence Division (DI) with the end in view of determining character reputation and possible involvement in any questionable or criminal activity. 14. All applicants with derogatory reports shall no longer be allowed to re-apply in any other NUP position. Remunerations include P16,051 monthly base pay for the highest item (Salary Grade 9) while P11,181 monthly base pay for lowest item (Salary Grade 4) plus other benefits such as monthly allowance, one-year uniform and clothing allowance, 13th month pay and bonuses as well as monthly GSIS, PAG-IBIG and PhilHealth contributions.